The classic and the contemporary come together on the platform of Jeevay Punjab, an effort to revive the rich heritage and traditions of music, poetry and literature of Punjab and give space to new voices.The effort came into being less than a year back, when Kumar Saurabh, Inderpreet Singh and Harnoor Singh — all artistically inclined young men from Ludhiana decided to reach out to audiences who appreciate and seek quality music and poetry, and present it on the stage in an eclectic manner. 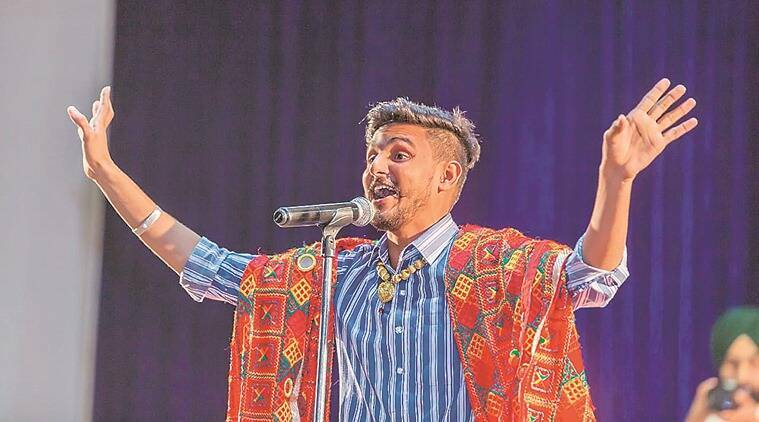 “We are constantly criticising today’s Punjabi music, and how the lyrics degrade women, promote the culture of guns, alcohol, commercialization, and we decided it’s time to do something concrete, offer people an alternative, which blends the best of the past and present, and also gets on stage folk instruments and singers, lost with time,” explains Saurabh, who writes poetry, has a keen interest in music and has grown up listening to the poetry of Sufi saints. Jeevay Punjab involves respected poets, singers, musicians and writers from across Punjab to curate and conceptualises its shows, which are staged across the state, and the idea is to take these all over India. Surjit Patar, Bir Singh, Jaswant Singh Zafar, Gurbhajan Gill and Rabbi Shergill — Jeevay Punjab finds support from varied quarters. Young singers will perform the poetry of Baba Bulleh Shah, Sultan Bahu, Shah Husain and Shiv Kumar Batalvi. Saurabh says they choose to sing works that are lesser known, with original compositions created by musicians using many folk instruments and the response of the audience is overwhelming.“We begin with Gurbani, as we are inspired by the gurus, and then we create a blend of music, poetry reading and songs with young poets and writers presenting their work on stage,” adds Saurabh, who says he reads extensively to discover new talent, with each work to be presented on stage selected with great care. There are no electronic instruments, and for our latest show, we have created 16 songs, all based on literature and poetry, involving folk singers from the state.”Among the new writers and lyricists who have found a space on the stage of Jeeevay Punjab are Karanjeet Singh, Harrmanjeet and Darshan Singh, with most writers writing on the theme of love, the state of affairs in Punjab, their love for their home and the gurus. “Everyone wants to tell a story, a narrative of today, what we face, how we live, our concerns. And over time, we have discovered the compassion and care that the young writers express in their writings for life and this is what we want to spread with this effort, love and empathy for others, and touch the hearts of people. We have composers such as Tanveer Sandhu and Gurman Virdi who spend a lot of time in giving the words new emotions with their music and over time, we are discovering so much that we have lost or may lose, if we don’t invest our energies in promoting our language, culture and traditions. We want our folk singers such as Idu Sharif and Des Raj Lakhani to perform on stage,” says Saurabh, who is also a music composer. The larger idea is to give people a choice, and Jeevay Punjab strives to create a collection that will outnumber the songs that are not worth lending an ear to. Soon, they hope to release an album, which will have as many as 100 songs, with 80 original compositions, with the tentative title being Mystics of Punjab. “Our biggest strength is our audience and after music and literature, it is theatre we want to give a platform to on our stage,” he adds.